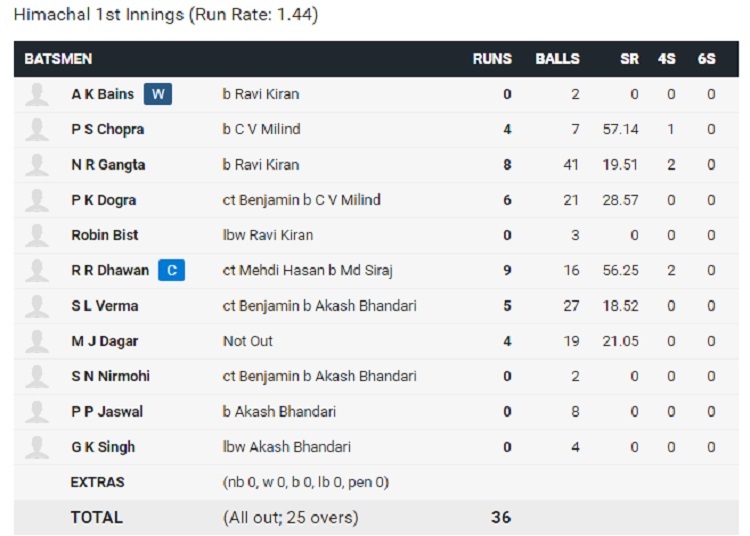 Himachal Pradesh Cricket team bowled out for paltry 36 runs against Hyderabad in an important Ranji Trophy Group C match at Barsapara Stadium in Guwahati. This is the fourth-lowest total in the Ranji Trophy since 2000. None of Himachal’s batsmen got into double figures. 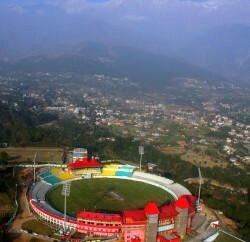 Captain Rishi Dhawan scored nine runs, highest of the Himachal inning, Nikhil Gangta made 8 runs, while five batsmen even failed to open their account. Seamer M Ravi Kiran and Chama Milind cut through the top order before legspinner Akash Bhandari snared four wickets to demolish the tail. Himachal were bowled out in 25 overs. 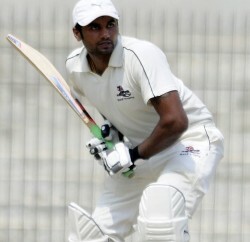 On the second day of the match Hyderabad team managed to score 99 for 7. 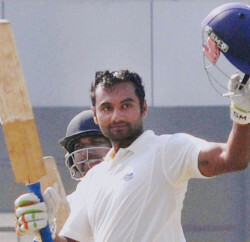 Akshath Reddy and Kolla Sumanth contributed 23 and 18 important runs for the Hyderabad. Leading the bowling attack for the Himachal Rishi Dhawan picked 6 wickets in his 15 overs. He bowled 4 maiden overs and conceded 35 runs.